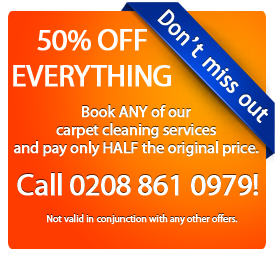 When you need expert cleaning services in East London Area, trust the experienced professionals from Magic Carpet Cleaning. We provide the highest quality cleaning of textile floors, rugs, windows, upholstery, and stain removal and after tenants cleaning at a most treasonable price! We strive to meet the highest expectations of our clients in East London and we want to establish long-term relationship with you. Rug Cleaning with steam is the primary approach we use at work. This cleansing method is able to remove more quickly and better dirt from the textile floor as compared with the other modes. Spots and soil disappear without a trace. Thanks to the hot water extraction all germs in the tissue are destroyed. This guarantees elimination of all kinds of allergies caused by dirt. You and your family will live a healthier life in a cleaner house. The treatment with steam cleaning is suitable for families with children and pets. Dry Cleaning Carpet is primarily used for cleansing large commercial objects such as offices, hotels, banks and others. This method does not require drying time, which is why it is a preferred for its use in public buildings. For you this means speed performance and significantly reduced time for cleaning. We recommend dry cleaning for delicate rugs made of natural fibers. Cleaning can be carried out rapidly and using up to 98% of biodegradable compounds. Blemishes and spots in the house are a serious problem for all households. Because stains make homes look old and shabby. We in IAS can remove stains from your walls, floors, windows, rugs and furniture. We deal with spots in your office. Our cleaning professionals have undergone professional training, and they regularly train once every three months. No matter whether contaminated fabrics are made from natural or synthetic materials. The type of stains and smudges also does not matter – blood, wine, coffee stains, pet urine, gum – it will disappear without a trace!